The market of commercial aviation is highly competitive, and companies are always looking for ways to improve their productivity level and optimize the working process. First of all, aircraft construction involves complex manufacturing processes that require a high degree of concentration and precision. A mistake here might cost the company millions of dollars. Besides that, ground handling operations also involve challenges that might entail substantial revenue losses if not tackled promptly. So, one of the possible ways to improve performance and minimize losses in the aviation sector is to make a significant upgrade and implement cutting-edge technologies, namely, augmented reality smart glasses. We will explain all the difficulties that augmented reality can help with, give you vivid examples of companies successfully using AR, and cover the largest manufacturers of AR smart glasses. So, let’s get right into details. Ramp handling is a set of services provided by specialized staff while the plane is still on the ground. These operations are a part of an even broader array of activities called ground handling, which involves boarding services, catering, cleaning, etc. Ramp services encompass everything that is connected to the aircraft maintenance (drainage, refueling, deicing, etc.) and cargo handling (luggage loading, air freight, etc.). Here, the primary criterion that influences work efficiency is the speed and accuracy of the operations conducted. According to the National Center of Excellence for Aviation Operations Research (NEXTOR), the annual losses (for both travelers and companies) caused by flight delays because of the issues that include ramp handling, amounted to $26 billion in 2017 for the U.S. sector. SATS is one of the leading providers in the industry of ground handling services in Asia and Middle East regions that have begun to leverage AR. To improve their performance, SATS started using Vuzix M300 AR Smart Glasses and introduced the augmented reality technology to their 600 employees at the Singapore Changi Airport. With the help of these AR glasses, the ramp handling workers can scan special QR codes placed on cargo containers. By looking at the code, the staff members can see the baggage loading instructions (flight number, placement location, etc.) in real time. SATS estimates that the loading time for an average twin-aisle jetliner will shorten by 15 minutes per flight because workers won’t have to use paper and will always know what goes where thanks to AR. Another possibility presented by augmented reality in aviation is an AR wearable that can improve the efficiency of aircraft assembling, and Airbus is one of the first to try this technology out. As we mentioned at the beginning, the process of aircraft building is complex, and if anything can be simplified, it is a great opportunity that has to be seized. Airbus collaborated with augmented reality developers to create an AR application for Vuzix AR Smart Glasses to simplify the process of cabin seats assembling. In less than a month, this idea became a working AR solution. With the help of overlayed contextual instructions, the worker can place seat markers six times faster (500% improvement) and leave no room for mistakes. Airbus is planning to get this AR technology implemented in other lines of aircraft assembly to increase the efficiency even more. Another example of using augmented reality in aviation for jet assembling is the result of the partnership between Lockheed Martin, an American global aerospace, defense, security and advanced technologies company, and Canadian company Ngrain. Using AR smart glasses, Lockheed Martin provided their engineers with real-time visual instructions during the assembly of F-35 fighter jets. The test reports indicated that engineers were working using augmented reality 30% faster than usual and with almost 100% accuracy. They also decreased the number of potential repairs. By the way, the speed of repairing process could also get faster with the possibility of remote communication between the engineers offered by AR glasses. However, despite the apparent efficiency increase, Lockheed recognizes that augmented reality technology still cannot be implemented in actual military facilities universally because of security-related issues. When a plane breaks down, it is vital to fixing the problem as soon as possible because every minute when the plane isn’t in use the company is losing money. You need a group of technicians and often remote consultations to fix an aircraft. That involves a lot of images, data, and document exchange that can slow down the repairing process because of the time spent on approvals and collaboration. 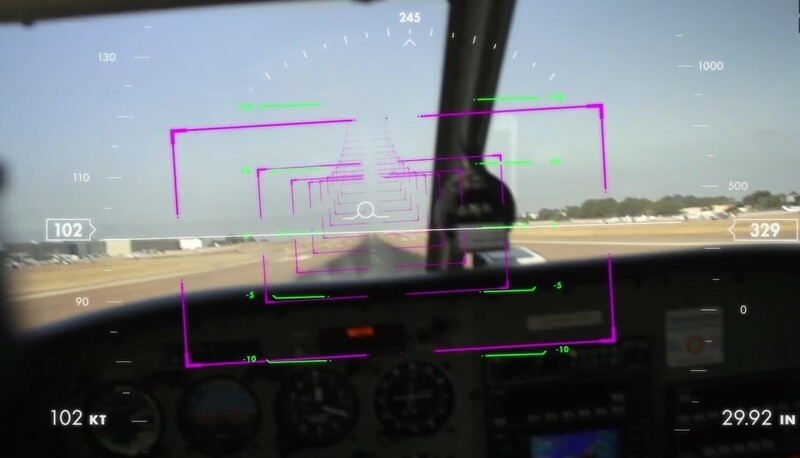 To solve the problem, General Electric Aviation (GEA) has launched a pilot project Vuzix Basics Video (VBV) for their operations. VBV is a hands-free AR solution for real-time communication between technicians that enables both voice and video options in augmented reality and eliminates any possible delays. GE’s engineers can in one click connect with their colleagues and shorten the repair time using AR. Less time spent on repair results in a bigger return on investments. Paul Boris, the COO of Vuzix said that they had received positive feedback from their clients and were planning to expand business relationships in months ahead. Being a pilot is a difficult job. There are dozens of metrics they need to pay attention to, so their eyes are always busy as well as their hands. 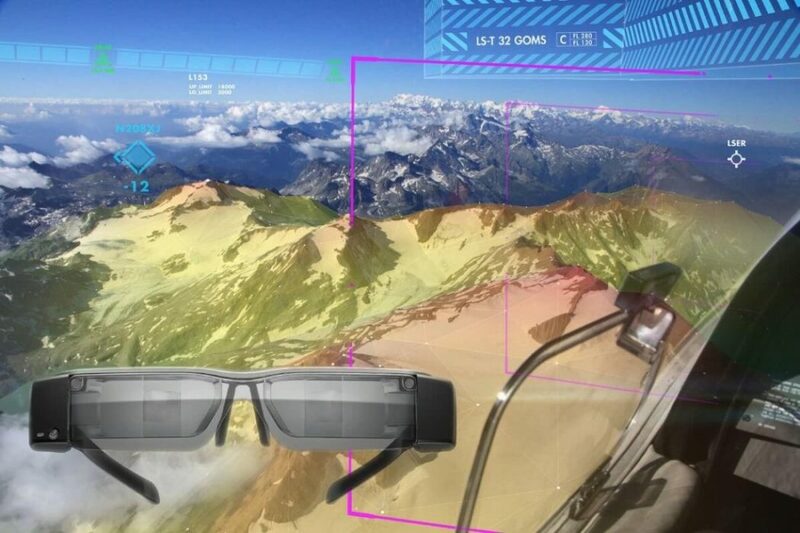 To try to make the pilots’ life easier, HeadApp with Eco-Mind and DigiSky developed an AR app called Glass4Flight. The application displays essential flight information (altitude, speed, time, etc.) via M100 AR Smart Glasses by Vuzix. This augmented reality app is easy to use, can be controlled by gestures to switch panels, and makes it possible for the pilot to operate more attentively without constantly looking at the cockpit panels. 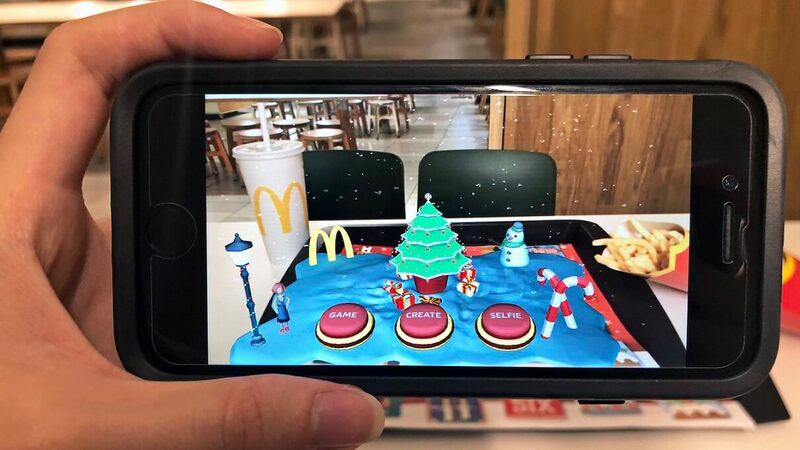 Now, the AR app is making its final steps through the testing stage. 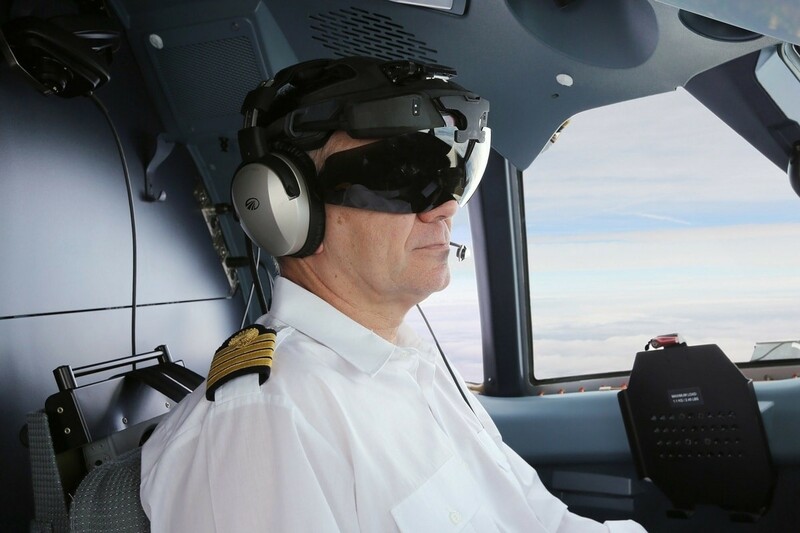 To date, 15 planes have been equipped with this Vuzix-ready augmented reality setup and piloted successfully. Aero Glass is another company that is using wearable augmented reality headsets that provide extensive cockpit information for the pilot. In 2016, Airbus selected the technology to help it become an actual value proposition. Assembling electrical cables on a plane is a responsible and complicated task because a single mistake might cause adverse consequences for those using the aircraft. Before the possibilities of augmented reality in aviation began to seem beneficial, engineers responsible for wise harness used PDF-based manuals to identify the wires and connect them correctly. It is a formidable task that requires a lot of concentration and time. In 2016, Boeing was the first to begin field tests of augmented reality in aviation as an interactive AR solution that shows 3D wiring diagrams in real time. The first test results of using augmented reality showed a 25% increase in the wire harness assembly speed. 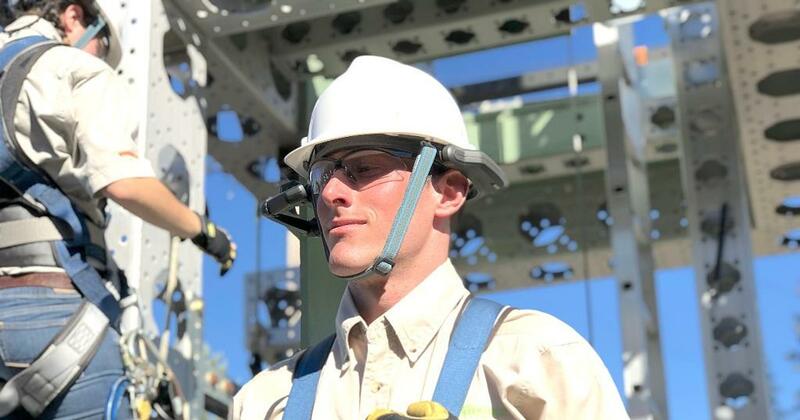 So today, Boeing is fully using AR smart glasses with the enterprise Skylight platform that provides a heads-up manual and allows workers to assemble the wiring faster, make no errors, use voice commands, watch instructional videos and get help from other experts remotely. Augmented reality has proved to increase the efficiency and safety of training in the military industry, but is it the same for aviation? Japan Airlines developed two programs to prove the concept of AR training for the aerospace industry workers. One of the programs was designed for the flight crew, and the other for engineers; both of them are using HoloLens. Instead of examining mock-ups or printouts, trainees can get inside a virtual AR cockpit or explore an immersive engine model and see how everything works from many angles. There are quite a few companies out there that produce augmented reality glasses. The model’s look and functionality are usually determined by the industry of application. Let’s take a look at several representatives of this market to get a better idea about their AR products. This is the first company we discussed in our article. Today, Vuzix offers developer-friendly and easy-to-use AR smart glasses of industrial grade – M100 and M300. Their AR wearables are very customer-centric in terms of simplicity and visuals. Please take a look at their Blade model. Can you really tell from a glance that these are augmented reality glasses with an 8MP camera, 4 GB of storage space and two-hour battery? 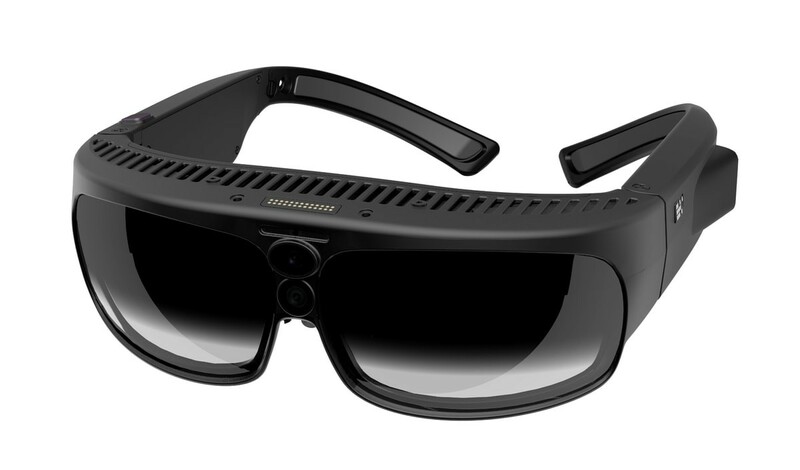 ODG offers 80% transparent augmented reality smart glasses with a powerful processor inside and the ability to play 720p to 1080p videos. They also have a camera, voice recognition, and a whole bunch of sensors inside. However, the price for a pair is too high for a regular buyer ($2,000-3,500). The developers from DreamWorld offer their AR device – DreamGlass. You’ve probably got the idea already – augmented reality glasses are expensive. However, DreamGlass is an exception. The price for these AR smart glasses is $400. You might think that a low price means that you would get a truncated version of “normal” AR glasses. But, this headset has a lot to offer. It is powered by a smartphone and offers a 2K resolution, a 1080p camera, gesture control, and, most importantly, Unity compatibility. What AR glasses to choose depends solely on your needs and budget. Some of them have a better camera, while others are prepared for hazardous environments. Before deciding on your purchase, it is better to consider all the augmented reality features essential for your project. The opportunities of augmented reality in aviation are becoming more and more apparent to the largest aerospace companies in the world. Such giants as Boeing, Airbus, and General Electric have already started exploring the possibilities of AR and are delving into augmented reality development headlong. WIth AR smart glasses, ground handling workers can work more efficiently because they do not have to go through papers or look at their tablets. Heads-up experience provided by augmented reality offers faster ramp operations and error elimination. Workers equipped with augmented reality glasses can receive instructions in real time. This provides a more effective hands-free assembling process and better accuracy. AR helps technicians and engineers establish an instant audio\video communication channel and solve problems a lot quicker. Pilots with augmented reality headgear gain simple access to the essential flight information without looking down at the cockpit panels. AR glasses can help significantly improve cable harnessing and increase speed and accuracy leaving no room for mistakes. Aviation industry can put its trainees in a more engaging and interactive environment using augmented reality. All in all, in most cases, AR can substantially increase ROI and reduce losses caused by delays and repairs. Need help to develop augmented reality app? In this case, you have come to the right place. Jasoren has vast experience in augmented reality app development. We are ready to offer our services at any time. 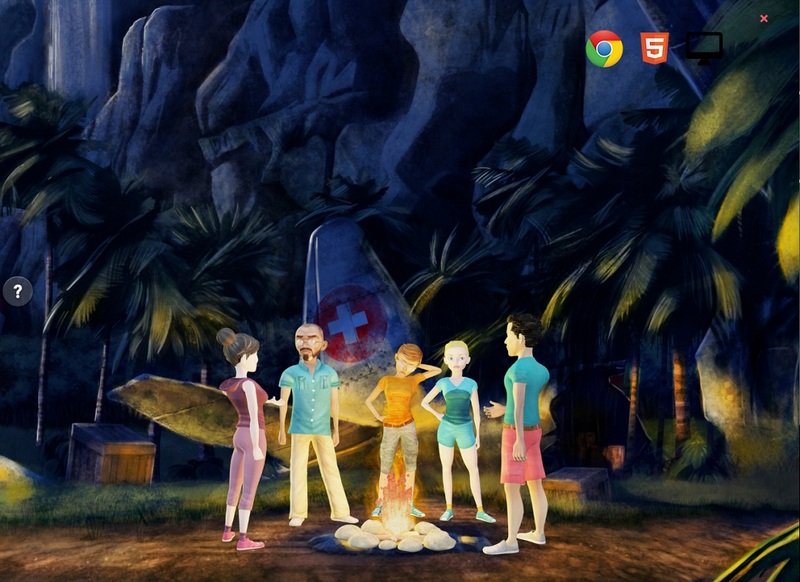 Our team of augmented reality developers guarantees only the highest quality. Contact us to discuss the details of your project or your ideas. AR development with Jasoren is the best way to get your application up and running in no time.